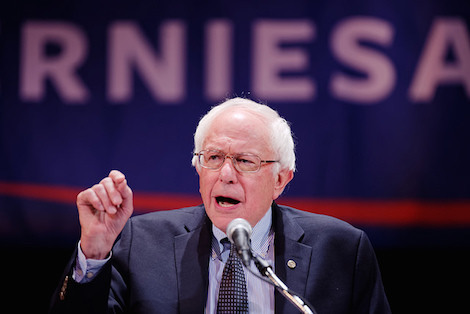 Bernie Sanders’ ballyhooed speech on socialism is now on indefinite hold. And with two-and-a-half months to go before the first votes of 2016 are cast, the candidate whose raison d’etre is ending income inequality has yet to unveil any details of his tax plan, such as whose tax rates would go up and by how much…. Don’t know about you, but the planted axiom that a single-payer health care system or a more progressive tax system represents “socialism” is absurd. Harry Truman proposed a single-payer system seventy years ago this Thursday, a few months before his “Iron Curtain” speech. As for tax rates, Karni does quote a Sanders staffer noting that the top tax rate was vastly higher under Ike; it was actually at 50% after St. Ronald Reagan’s first tax cut bill. I understand why Sanders may feel stuck with the Democratic Socialist label, having embraced it in the past, and longs for an opportunity to take the horns off it. Most taxonomists would classify the New Deal and Great Society initiatives as “social democratic” (not the same thing as “socialist”), and might even distinguish that from “liberalism.” So he could just say he no longer thinks of himself as a “socialist,” or thinks the label is not worth fighting over.